The Mazda MX-5 Miata is an icon among all cars not just convertibles. 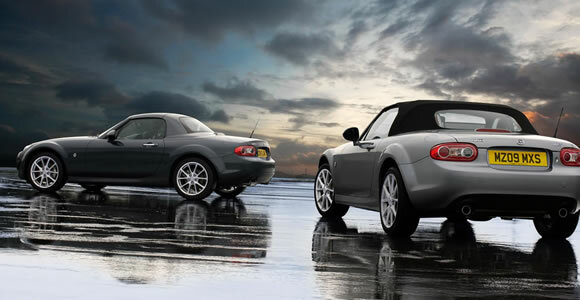 It single handedly revitalised the the roadster market and has seen strong sales for over 20 years. Its recipe for simple fun is one that other manufacturers manage to achieve – either they over complicate things with luxuries or technical complexity or they miss out the basic ingredients. Those ingredients are of course: light weight, front engine, rear wheel drive, good balance and a sporty driving position. The Mazda MX-5 hasn’t been company’s only convertible success. The Mazda RX-7 Convertible released in 1988 was a great drivers car with its small high revving Wankel rotary engine. Not many were sold however and production was wound up in 1992.